The Japanese companies invited the talented and intelligent participants from abroad to carry out the internship in Japan. The internship is offered to the students in order to get greater work for the people and organizations through knowledge building for the new developments and the expansion of overseas business for Japanese companies and experience the cross cultural communication and the constructing the networks and develop the in house experience conjunction with overseas universities in order to get the foreign talent. Why not get the internship and find the new career in Japan? You can get the chance to find the new career in Japan. The students can do their internships in Japan and the people from the developing countries can study the overseas business strategies at the Japanese company and get the skills and expertise of Japanese companies so that they can become trained as the global leaders, which can have the capability to work in Japan, in their home countries and in the world wide in future. You will have to work in Private-sector companies, industry associations, and non-profit corporations in Japan. The host companies are determined after matching by the Program Office and subsequent approval by the Screening Committee. 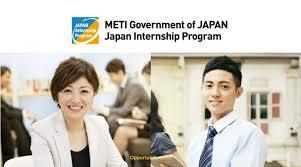 There will be 220 interns, who will participate in Japan Internship program. The Japan Internship program is fully funded. Round-trip economy class air ticket, travel insurance. Transportation and accommodation expenses including training program fee when participating in training. Both current students and graduate students of any level of BA, BSc, MA, MSc, MPhil can apply. Almost every major can apply for Japan Internship Program. The candidates must hold citizenship of an eligible country or region. Applicants must able to submit a school or university enrollment or graduation certificate as well as a letter of recommendation from an affiliated university or institution etc. They will be able to undertake both the internship and Pre-Training full-time at the host company (the international students must also able to balance them against their studies). Registration is accepted online through registration form on the Program Office website or check the link below. Click on Apply Now Button for Application Form. And for more detailed further information about Internship in Japan click on the Official Link Button of this Program to know more about Japan Internship Program.